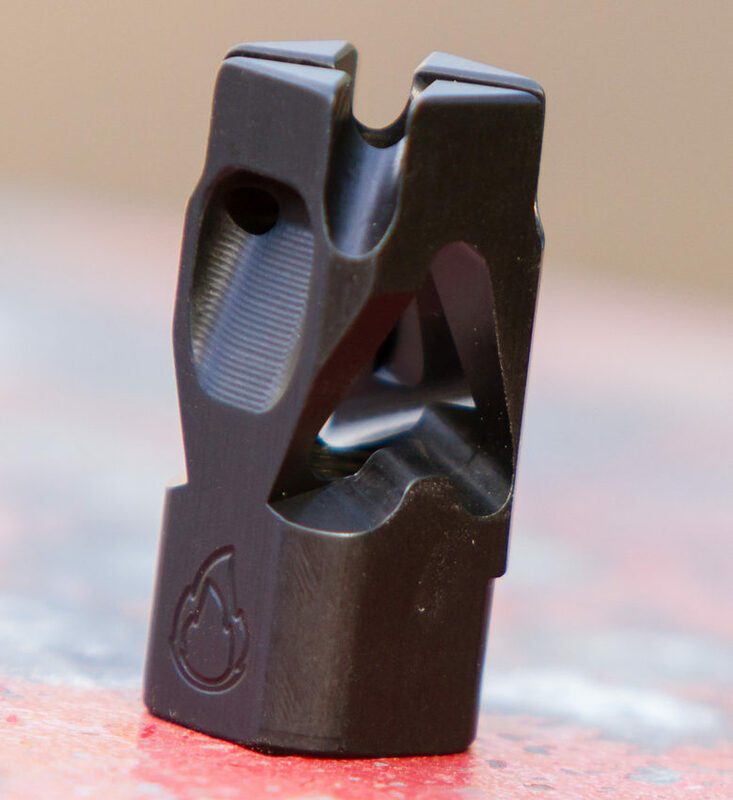 A-Hole Micro™ Muzzle Brake | Arson Machine Co.
It’s short, it’s loud, it doesn’t weigh much and it is in the running for it’s own cable TV reality show. We were going to call it the Midget, but thought that would be offensive. Taking the lessons learned from it’s big brother, the A-Hole Mk4A Muzzle Brake™, we set out to up our 223/5.56 muzzle brake game. Several caffeineless nights, many hours of machining, a large pile of swear words, and the semi-proper use of an Oxford Comma or two, we managed to hew out the work of art that we call the A-Hole Micro™. 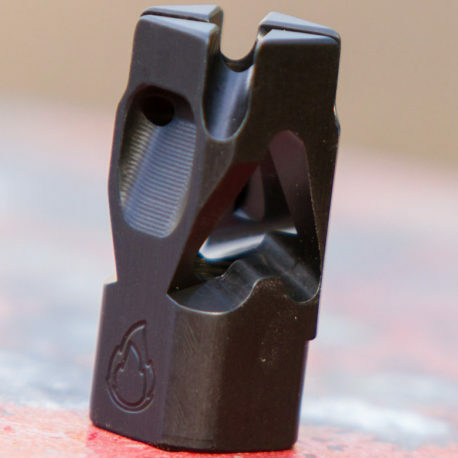 This little guy tips the scales at a scant 0.7 Ounces thanks to some extra machine work and it only adds just over an inch to the OAL of your rifle. 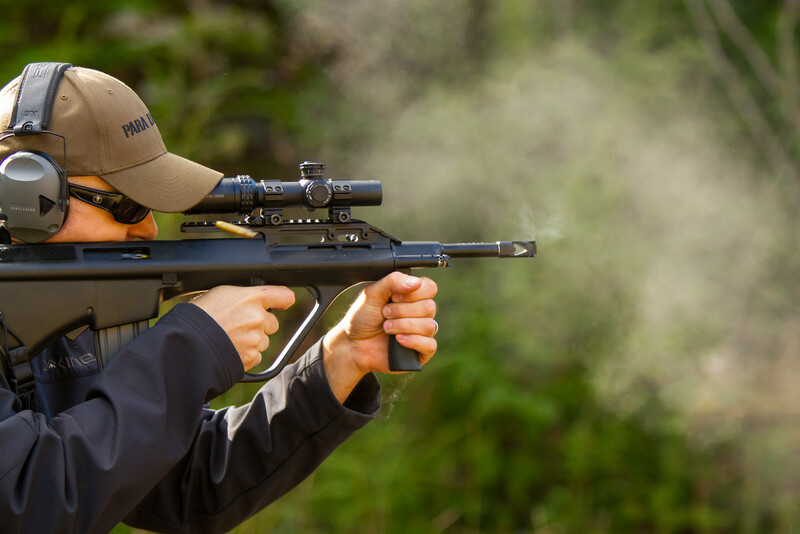 It’s equipped with our proven A-Hole Technology™ that reduces muzzle climb, tames recoil enabling faster follow up shots and lets everyone around you know it at the same time. It has 1/2-28 threads and a bore suitable for 223 caliber bullets. 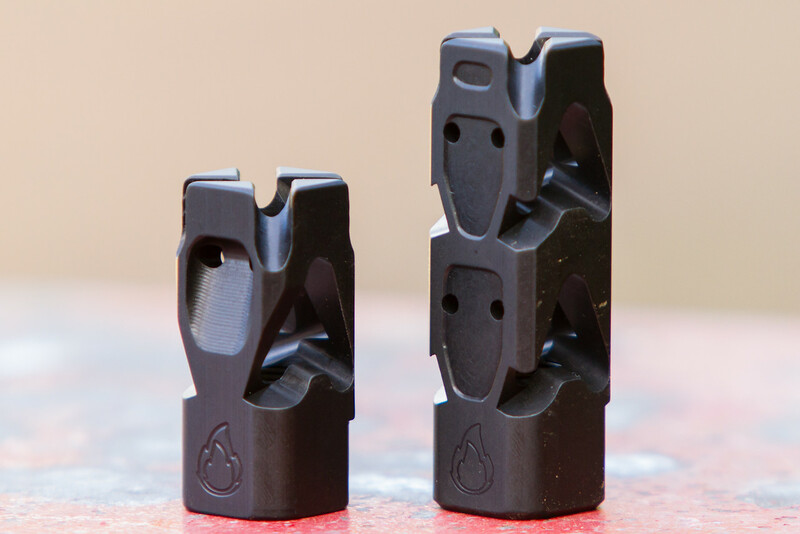 These sweet little muzzle brakes are made out of our standard 6061-T6 Aluminum that is Type III hardcoat anodized black and served with an extra side of Merica. 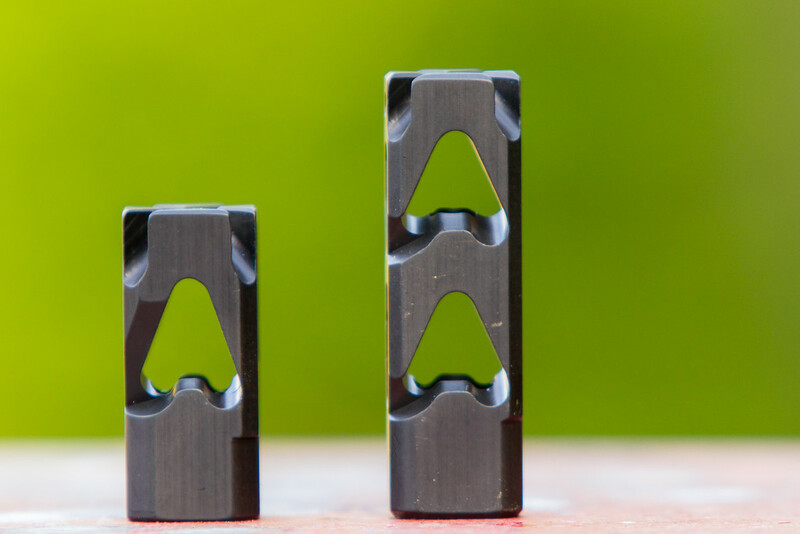 Some will scoff at an aluminum muzzle brake, but our testing shows a life expectancy well beyond 4000rds and that was under full auto fire (which we don’t recommend by the way, but we did it because science). We include a shim kit to aid with installation. 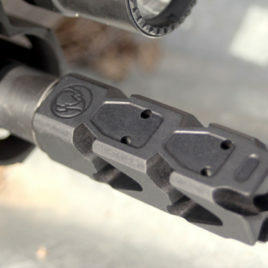 Not only can this be reused, but it also allows perfect timing of this hot muzzle brake, every time. This is the ultimate convergence of recoil reduction, light weight, length, and cost. This is absolutely perfect for the budget conscious shooter wanting the lightest weight rifle possible or a 3 gunner looking for an edge. Our A-hole Mk 4a™ Muzzle Brake with our proprietary A-Hole Technology™ tames even the worst 223/5.56mm recoil. Make noise, not recoil. Let your freedom ring, loudly and proudly.